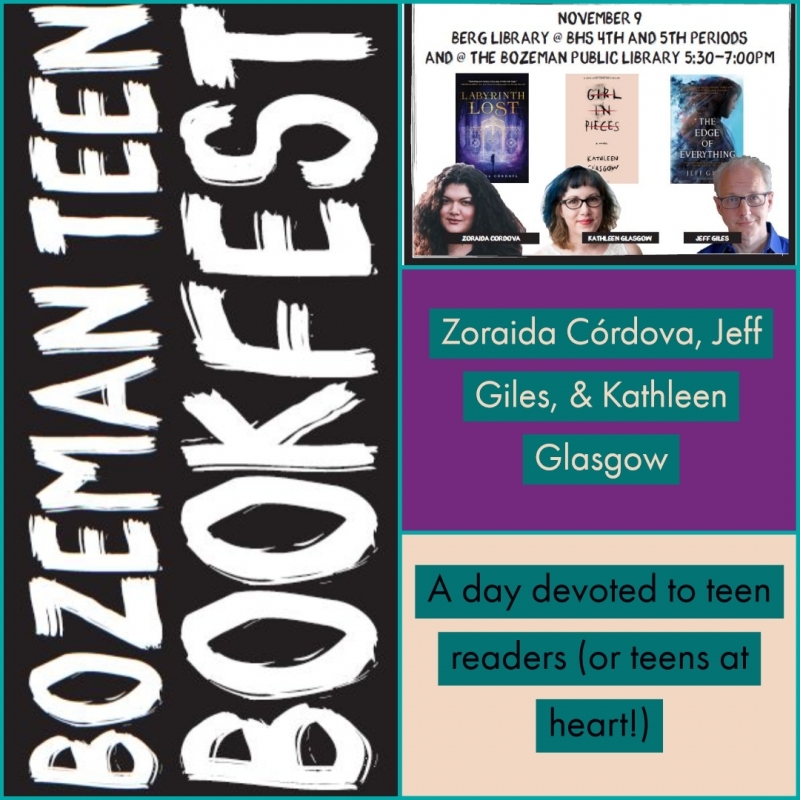 We are thrilled to introduce our first Bozeman Teen Book Fest on Friday, November 9th featuring Young Adult authors Zoraida Córdova, Jeff Giles, and Kathleen Glasgow. 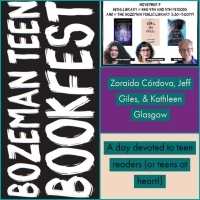 The Bozeman Teen Book Fest is a day devoted to teen readers (or teens at heart!). Come hear presentations by our visiting authors, have a chance to ask them questions and even get your books signed! Join us for our evening event at the Bozeman Public Library from 5:30 PM - 7:00 PM in the Large Community Room. The Country Bookshelf will be on hand with copies of the authors' titles for sale.